Of the 16 HPV vaccine randomized trials, only two used an inert saline placebo. Ten of the sixteen compared the HPV vaccine against a neurotoxic aluminum adjuvant. Critics of the HPV vaccine have pointed to the aluminum adjuvant as the most likely cause of adverse reactions, and some researchers have questioned the safety of using aluminum adjuvants in vaccines at all, due to their probable role as a contributor to chronic illness. The aluminum-containing placebos appeared to provoke numerous adverse reactions among the presumably unwitting patients who received them, allowing the pharma researchers to mask the cascade of similar adverse reactions among the groups that received the vaccines. Although both placebo and study groups suffered numerous adverse events in these studies, there were minimal differences between the two groups. The similar adverse outcomes in both groups allowed industry researchers and government regulators to claim that the vaccines were perfectly safe, despite manifold disturbing reactions. The Mexican researchers’ meta-review confirms the difficulty of ascertaining vaccine-attributable differences from this mess; the researchers identified only a few indications of “significantly increased systemic adverse events in the HPV vaccine group vs. the control group” across the 16 pre-licensure trials. 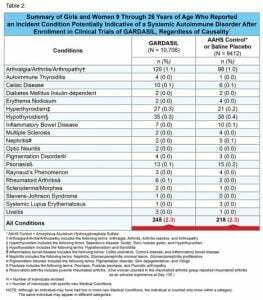 Given aluminum’s known neurotoxicity and its association with debilitating autoimmune conditions, it is unsurprising that there are no observable differences between the Gardasil and AAHS/saline groups. But, despite the researchers’ efforts to paper over adverse effects, they were not able to conceal the devastating health injuries to their human guinea pigs. The bottom line of these trials reveals a shocking truth: An alarming 2.3 percent of both their study and control groups had indicators of autoimmune diseases! These data are even more alarming when one considers that the observation period was curtailed after only six months. 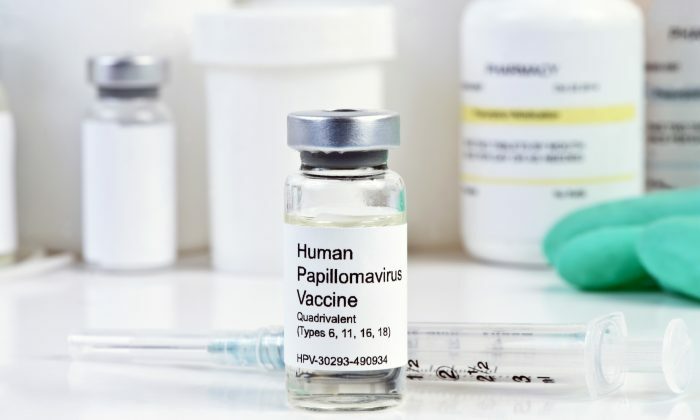 With this level of risk, it would seem that no loving parents would allow their daughter to receive this vaccine—particularly given the comparatively low risk posed by HPV in countries with appropriate cervical cancer screening tests. Even in countries such as India, where cervical cancer mortality is high due to late detection, leading Indian physicians argue that comprehensive screening should be the country’s top priority rather than the “panacea” of HPV vaccination. Consider the math: According to the National Institutes of Health (NIH), an estimated 2.4 women per 100,000 die of cervical cancer in the U.S. each year. 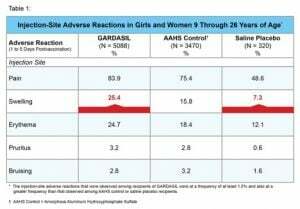 On the other hand, the FDA’s Table 2 (above) shows that 2.3 per 100 girls and women developed an “incident condition potentially indicative of a systemic autoimmune disorder” after enrolling in the Gardasil clinical trial. It is difficult to understand how any rational regulator could allow more than two in 100 girls to run the risk of acquiring a lifelong autoimmune disorder, particularly when Pap smears are already doing an effective job of identifying cervical abnormalities. The NIH notes that the incidence and death rates for cervical cancer in the U.S. declined by more than 60 percent after introducing Pap smear screening. Mexican researchers calculated the likelihood of being actually helped or harmed by the 9-valent HPV vaccine. Their ‘worrisome’ finding is that the number needed to harm is just 140, whereas 1,757 women would need to receive the vaccine for a single one of them to enjoy its projected benefits. 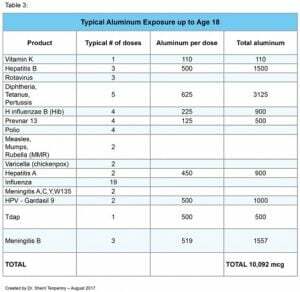 A review in the European Journal of Clinical Nutrition warns of dangerous accumulation of aluminum in the brain when, as in the case of vaccination, “protective gastrointestinal mechanisms are bypassed.” It’s time to go back to the drawing board on HPV vaccines and aluminum adjuvants. More importantly, FDA needs to start requiring the same rigorous pre-licensing safety testing for vaccines that it has long required for other drugs. All existing vaccines, particularly those containing aluminum, should be safety-reviewed according to these more stringent standards.